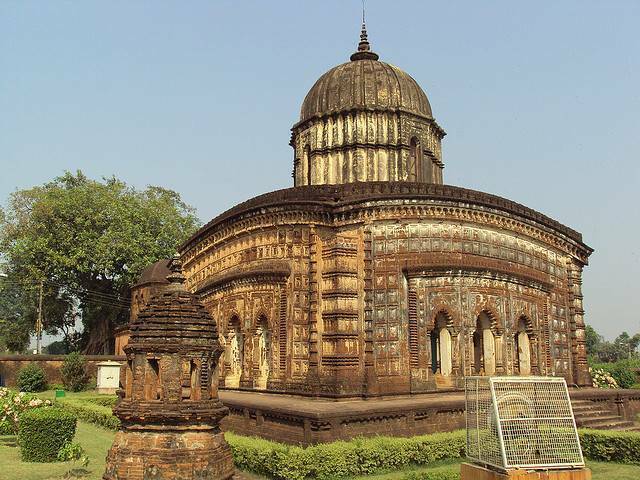 Lalji Temple has been built by Malla king Bir Singha, with Shikhara and built on raised platform of square shape. This temple has been devoted to Radha-Krishna and is similar to that of Bengali architecture with ornamental stucco decorations. In front of the temple there is dancing hall and there is tower in the west dedicated to Raghunath. Outer yard is divided from the inner by a wall, and contains a small Pancharatna temple of Kameswar Siva. The temple is enclosed by wall entirely with a gateway passage towards east. In front of the gateway are two cars are there one for Lord Lalji and the other from lord Raghunath. They are taken out in procession during Dussera festival. There are inscriptions in Bengali at several places. Trains and buses both can be taken depending on the comfort of person.